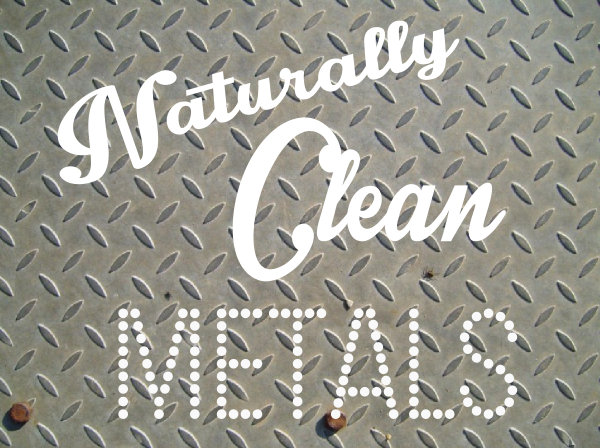 Whatever metal you have to clean around the house, whether a brass light fixture, a stainless steel appliance, a silver fork, or a chrome faucet, this article will show you how to naturally bring that metal back to a like-new state. Commercial metal cleaners that can be bought at the store are full of dangerous chemicals that come with a long list of health and safety warnings. They’re typically abrasive, flammable and highly toxic. Their ingredients typically contain carcinogens, irritants and neurotoxins. Rather than use these commercial cleaners to clean your metals, whip together a few all-natural cleaners using products you most likely already have in your pantry. Yes, basic cleaning products like salt, lemon juice and vinegar can be combined to get your metals sparkling like new again. Aluminum: Clean aluminum with a solution of cream of tartar and water. Brass: Polish brass with a soft cloth dipped in lemon and baking soda solution. Chrome: Polish chrome with a nontoxic glass cleaner and a soft rag. Copper: Clean tarnished copper using a cloth and a mixture of salt, lemon juice and water. Dry the copper thoroughly after washing. Gold: Clean gold with toothpaste – it’s highly effective. Pewter: Clean with a paste of salt, vinegar and flour. Stainless steel: Clean with nontoxic glass cleaner and a microfiber cloth. Silver: Polish silver by combining 3 parts baking soda to 1 part water. Apply with a cloth and rinse with cold water.